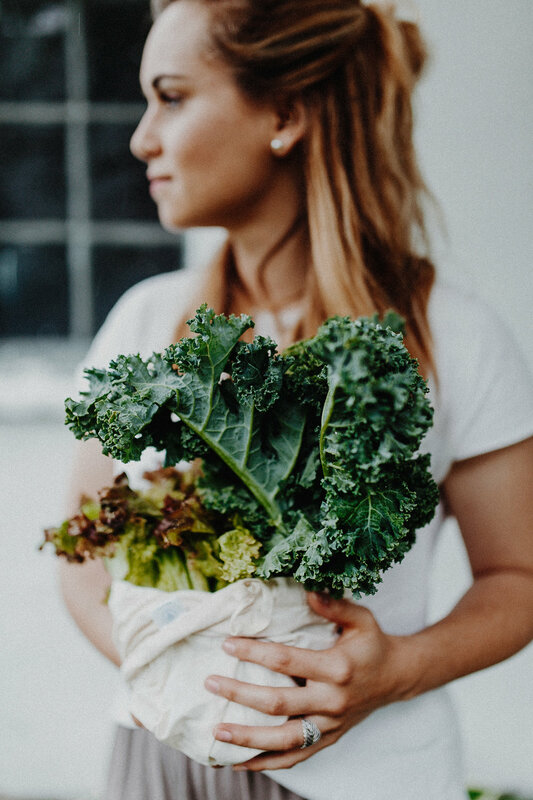 Whether it's to go to the grocery store, buying in bulk or storing items, you'll love these reusable machine washable cotton bags! They are lightweight and easy to carry. An ideal replacement for plastic grocery bags when buying fruits and vegetables! The convenient size also makes it perfect for storing small items. You can also use these bags to make your own nut based milk. Care Instructions: Machine-washable in cold water. It is not recommended to put them in the dryer, as this avoids cotton shrinkage. And do not wash your bag too often. A shrinkage of 10% on the height of the bag is to be expected after the first wash. The bag was designed larger in anticipation of this shrinkage. 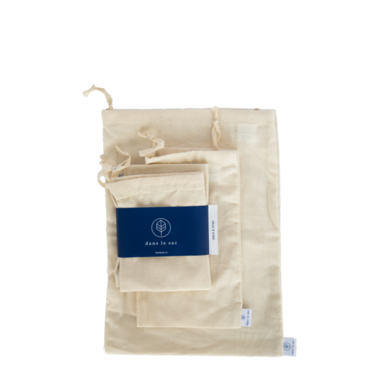 With a useful life of several years, "Dans Le Sac" bags are designed to offset the environmental impact of thousands of plastic and paper bags. the larger one can fit 4-5 apples and the smaller one can fit 3-4 small oranges. Great alternative to plastic and very high quality bags. So happy to be supporting a Canadian company too! This is my second purchase from Dans La Sac and am very happy with their products. The bags are easy to clean (throw in with the cold wash) and shop with at the store. 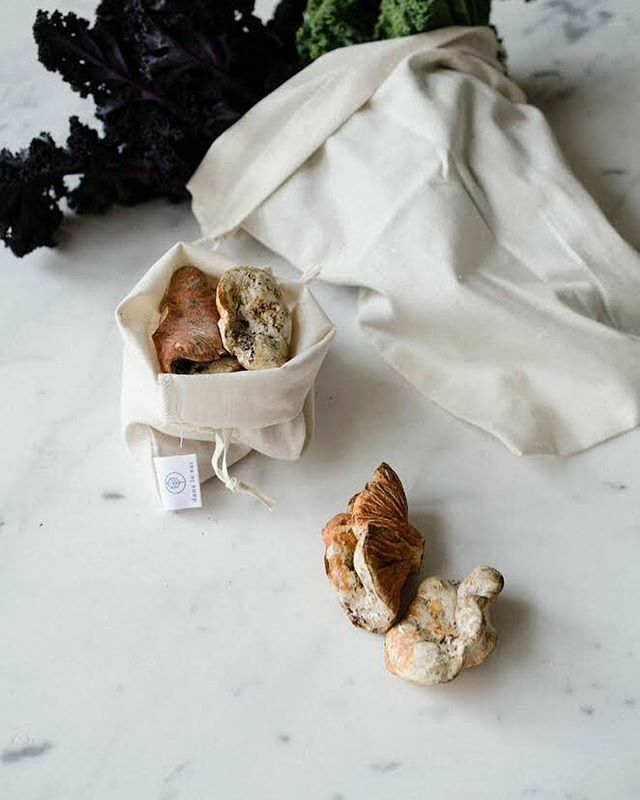 No more little plastic bags that are so wasteful and who knows how unclean! I also love supporting a Canadian small business.